WE ARE LOOKING FOR TRIBUTE PERFORMERS AS ADELE,ABBA, FREDDIE MERCURY FOR THE SUMMER 2019 IN CYPRUS, STARTING FROM 15TH APRIL. As a Tribute Artist you will produce and perform 2 x 45 minute show per night in two different venues, 6 days per week to a professional standard. It will be the same show at both venues. Your show will be able to appeal to a wide variety of audiences. You will interact with the audience and finish the evening on an upbeat and positive atmosphere. You will provide excellent and professional entertainment to ensure that the customers enjoy their evening. 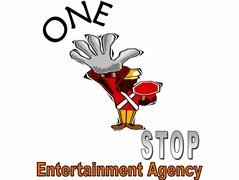 • Experienced Tribute Performer’s who can convincingly perform to a style of a specific artist. • People who can speak fluent English (essential). • The ability to work on your own if needed. • You must be able to drive a car. • Accommodation and one meal per day from your venue when you are working.